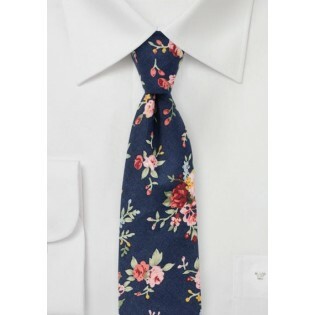 One of our favorite new cotton print designs is this navy blue tie with roses in pink and fuchsia. 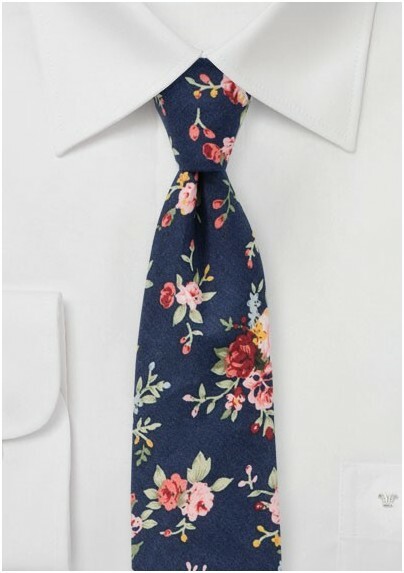 A great summer tie that that creates a rustic and whimsical look. For best looks pair with light gray chambray or flannel shirt as well as rustic leather suspenders. It is a tie that turns heads anywhere you go! Handmade from finest printed cotton fabric by neckwear brand BlackBird.